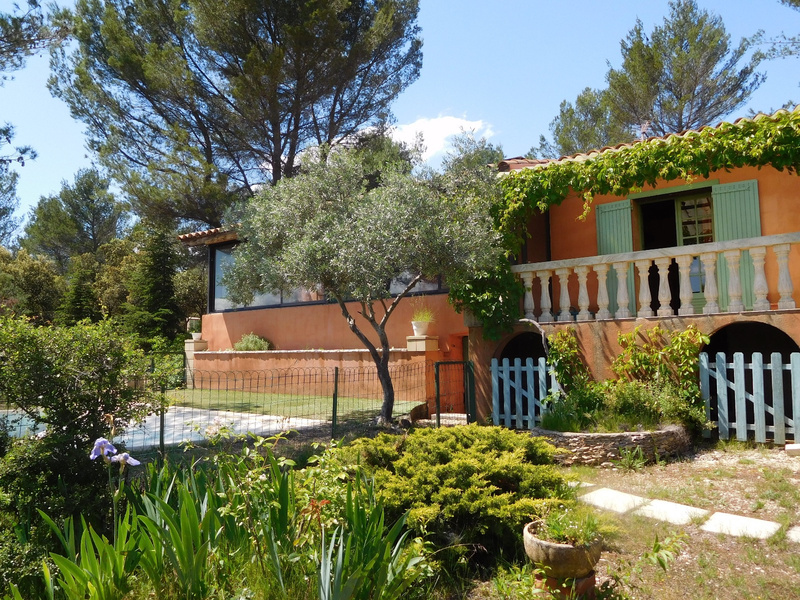 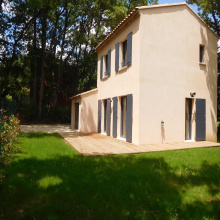 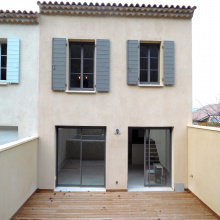 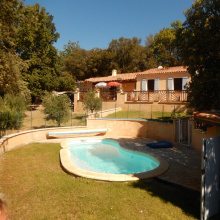 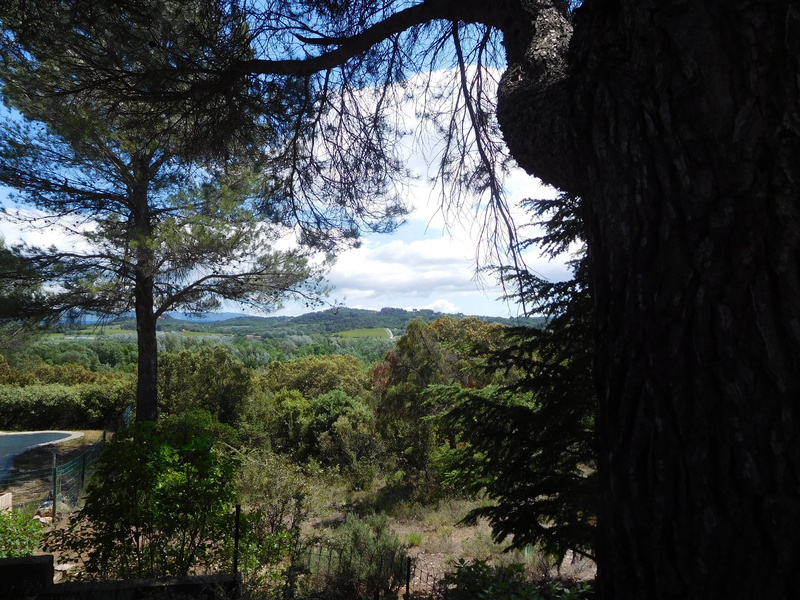 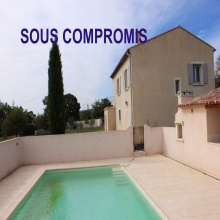 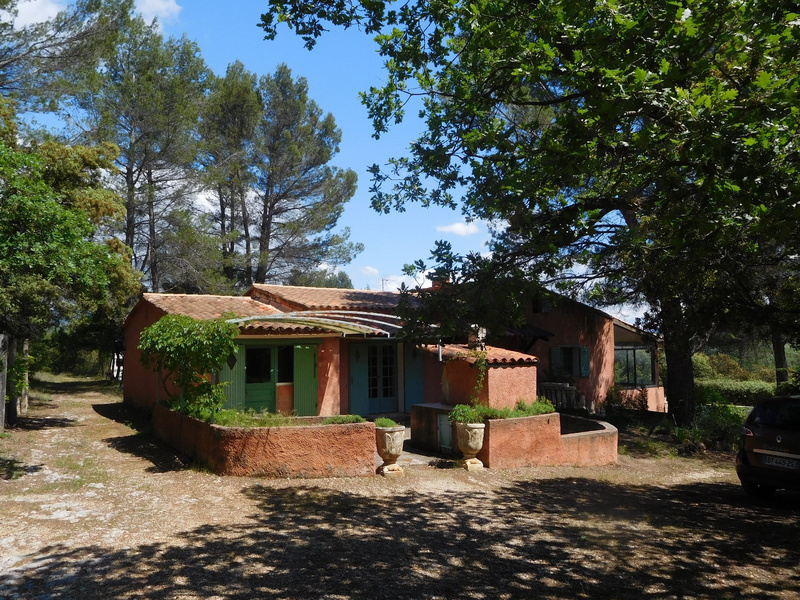 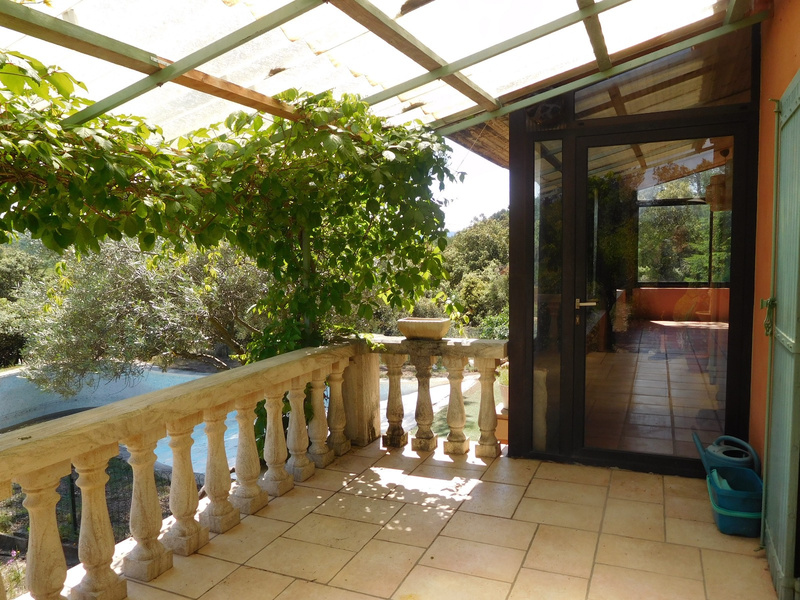 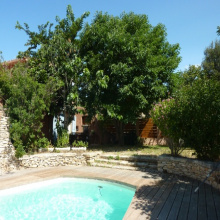 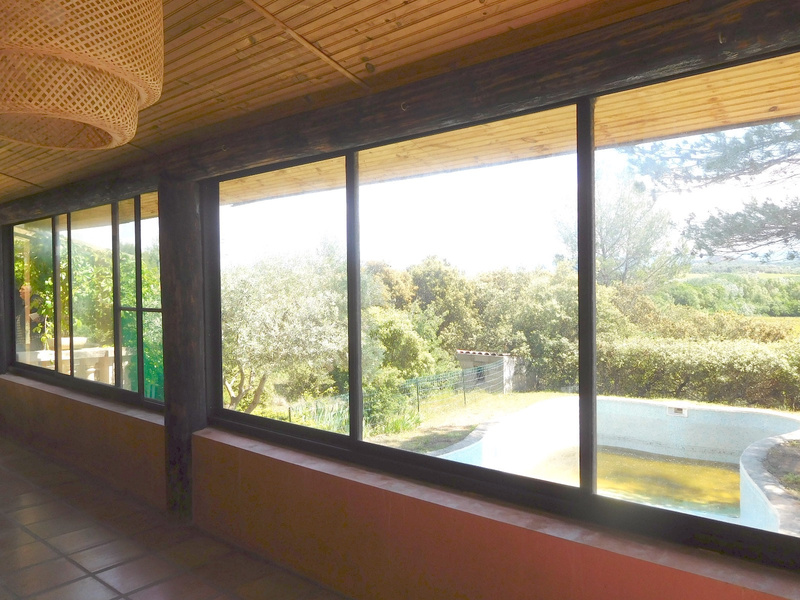 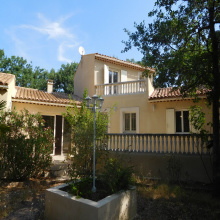 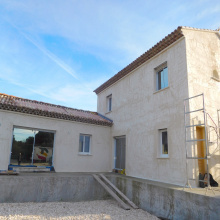 For sale - Luberon - Roussillon - 4 rooms - Traditionally built house. 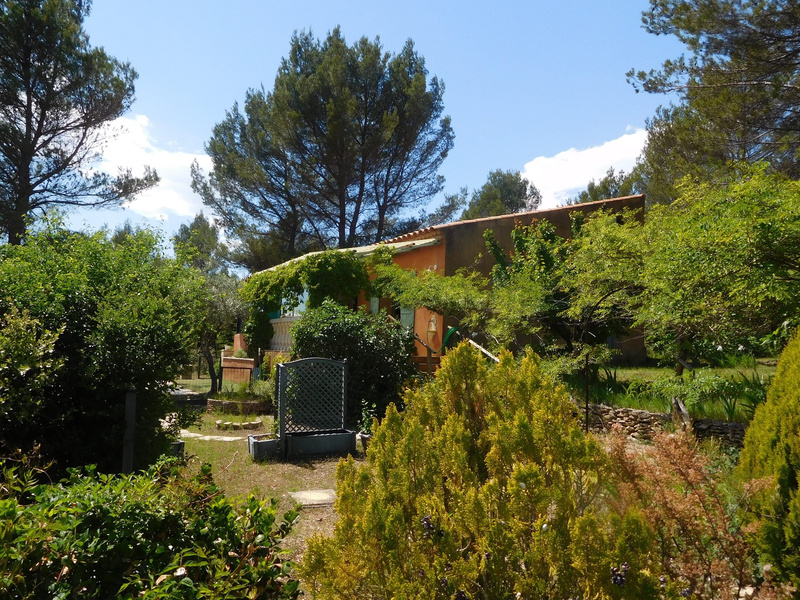 Located in 5 420 sq of a garden, dominant views, nice one-storey house of 130 sq living space plus an independent studio. 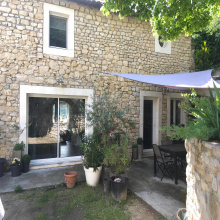 The house consists of: an entrance hall serving two large bedrooms of 16 sq each, a pleasant living room of 40 sq with reversible air conditioning and fireplace with cassette, a separate kitchen and a bathroom/shower and a spacious veranda of 26 sq with open views. 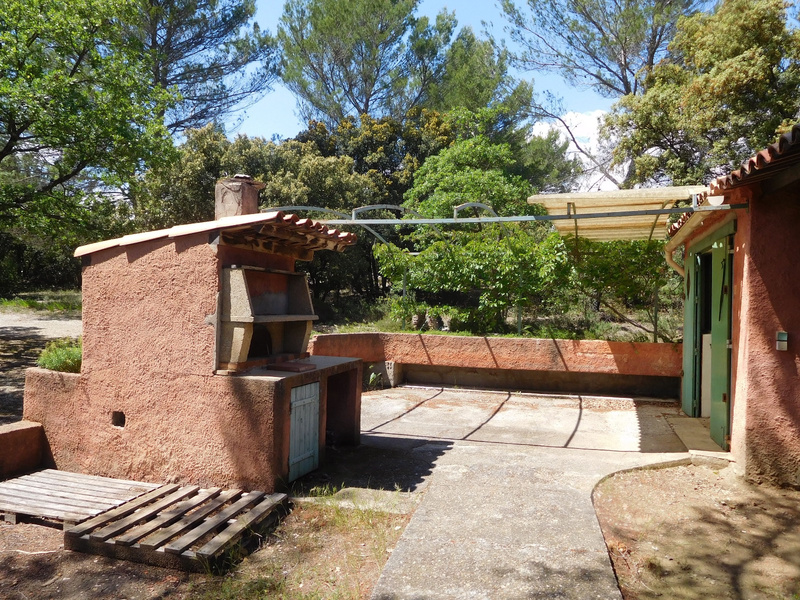 Independent access leads to a studio of about 30 sq with kitchen, shower room and mezzanine. 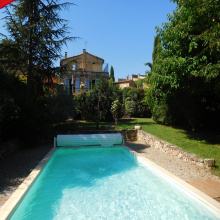 Two beautiful terraces, freeform pool with beach, pool, fountain, henhouse and cellar (access from outside).